Water damage like roof leaks and toilet overflows can happen out of nowhere and can occur at most inconvenient of times. But when need immediate cleanup and repair, you can count on 911 Restoration New Hampshire to be there for you! Our water damage Portsmouth specialists are available 24/7/365 to provide you with on the day service before that leak can cause other problems like mold growth. Our water damage repair and restorations will be accompanied with a free inspection and estimate that will us get to the bottom of the problem. When you call us, you can expect our team to be there within 45 minutes. Our urgency ensures that your home gets back into shape in no time! 911 Restoration with our IICRC certified technicians are here to provide you with highest quality of water damage repair and restoration. We will handle your water emergency day or night. Rest assured that your home is in good hands when our water damage Portsmouth team with 911 Restoration New Hampshire are at your side, so give us a call today! When moisture gets into your home because of a roof leak, pipe burst, toilet overflow, or flooding, it can lead to mold growth that could lead to further damage to your home and could lead to health problems. Mold can release spores that can cause respiratory problems like coughing and asthma. While mold is an integral part of the outdoor environment, it has no place within your home. 911 Restoration can provide you with the water damage repair and restoration that will get rid of water and moisture. Our technicians will be making use of the latest drying technology that will get rid of all water and moisture. Once the leak has been patched up and the water extracted, we will offer mold remediation services that will get rid of mold and its spores. With years worth of experience, you can expect our specialists to be able to handle all kinds of water emergencies you may have. Have us cut of the source of moisture through our water damage repair and moisture, and trust 911 Restoration to get rid of mold within your home! The 911 Restoration team always puts our customers first. We want to make sure that your home is a safe and comfortable place free of water damage. We are fully committed to your utmost satisfaction which is why you can expect only the highest level of quality when it comes to our water damage repair and restoration services. You can expect only affordable prices for the services that you need, and to provide you with further convenience, we will also work with your insurance company to help you file your claim. When you need roof leaks and mold growth dealt with quickly, count on 911 Restoration to be there to lend you a hand. 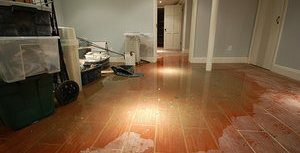 If your home or business is suffering from a liquid invasion of any category variety, then contact our water damage Portsmouth team with 911 Restoration New Hampshire today!